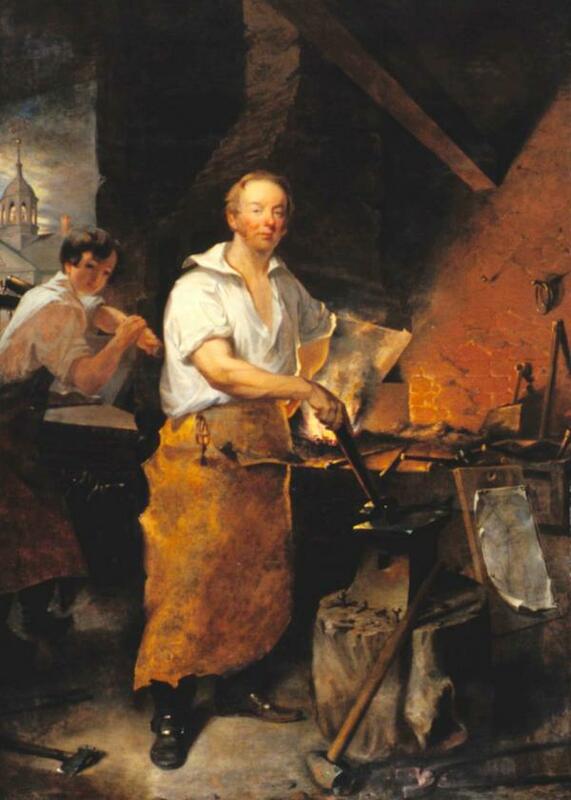 Pat Lyon at the Forge, by John Neagle, 1829. One of America's greatest portrait painters, Philadelphian John Neagle (1796-1865) painted Pat Lyon at the Forge in 1829. In 1805, a jury had awarded Lyon $12,000 for his false imprisonment in the Walnut Street Prison, seen in the background.